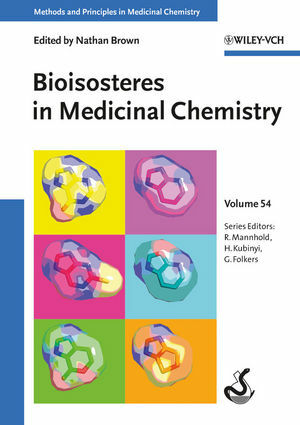 Written with the practicing medicinal chemist in mind, this is the first modern handbook to systematically address the topic of bioisosterism. As such, it provides a ready reference on the principles and methods of bioisosteric replacement as a key tool in preclinical drug development. protein-ligand crystal structures. In the final part, several real-world examples of bioisosterism in drug discovery projects are discussed. With its detailed descriptions of databases, methods and real-life case studies, this is tailor-made for busy industrial researchers with little time for reading, while remaining easily accessible to novice drug developers due to its systematic structure and introductory section. Nathan Brown is the Head of the In Silico Medicinal Chemistry group in the Cancer Therapeutics Unit at The Institute of Cancer Research in London (UK). At the ICR, Nathan and his group support our entire drug discovery portfolio together with developing new computational methodologies to enhance our drug design work. Nathan conducted his doctoral research in Sheffield with Professor Peter Willett focusing on evolutionary algorithms and graph theory. After a two-year Marie Curie fellowship in Amsterdam in collaboration with Professor Johann Gasteiger in Erlangen, he joined the Novartis Institutes for BioMedical Research in Basel for a three-year Presidential fellowship in Basel working with Professors Peter Willett and Karl-Heinz Altmann. Nathan?s work has led to the pioneering work on mulitobjective de novo design in addition to a variety of discoveries and method development in bioisosteric identification and replacement, scaffold hopping, molecular descriptors and statistical modelling. Nathan continues to pursue his research in all aspects of in silico medicinal chemistry.